Veer told Siddharth that Kiran was in problem. He asked him to come to him fast and leave her. Veer told raj about it. Inder asked Mili to come along with him. Kiran told inspector that he should see that Mili was scared to go with Inder. Inder said that Kiran troubled her wife and kidnapped her daughter. Kiran stood shocked to hear that. Inspector asked Kiran to come to police station. CM told Aditya and Prithvi that Shindhe was angry with ATU and asked them to talk to him. Prithvi called him but his wife picked up the call. He told her about the ATU operation. Shindhe said that Haroon and Roshan still had the virus. He told him that his party would not support him. Maya went to Jai and hugged him. They kissed. She told him that Haroon and Roshan had planned to kill him. He asked her not to worry as nothing was going to happen to him. Roshan saw them together. Omkar saw Roshan seeing Maya and Jai and got worried. Veer reached to Kiran and talked to inspector. Inder hold a knife on Kiran’s neck and asked veer to step back else he would kill Kiran. Veer stepped back. Shivani and Siddharth argued about their relation. Roshan asked Maya if she was playing game with them. He aimed his gun at Jai. He started beating him. Jai’s watch got hit and signals got lost. He told Haroon to ask Maya about her relation with Jai. Maya was silent. He held her neck and shouted on her. Omkar made a story to protect Jai and Maya. Roshan said he did not believe Omkar as he was a father and he could do anything to save his daughter. Roshan asked Maya to tell truth else they would kill Omkar. Veer and raj protected Kiran. Gyan called Haroon and talked to Jai about the watch. Haroon asked Gyan to sync the timings and everything with his watch and not Jai. Gyan agreed. Siddharth told ATU about the delta team being close to virus. Aditya told Shivani that they could wait for Jai till 8:30pm but then they had to drop a bomb to save many lives by killing some. They planned to follow Jai’s tracker and got virus location. Siddharth taunted Shivani that 30 lives were at stake because of Jai. She said that she too cared for those lives. Roshan asked Maya to tell truth else Jai would shoot Omkar. Maya was tensed. 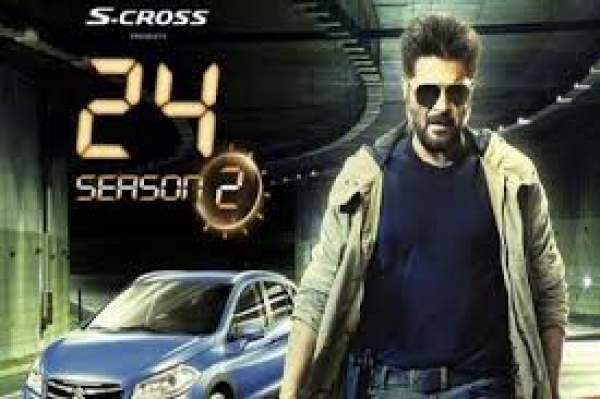 Stay tuned for latest 24 Season 2 news and updates.